Treat yourself to the ultimate in relaxation with an Oklahoma spa getaway. 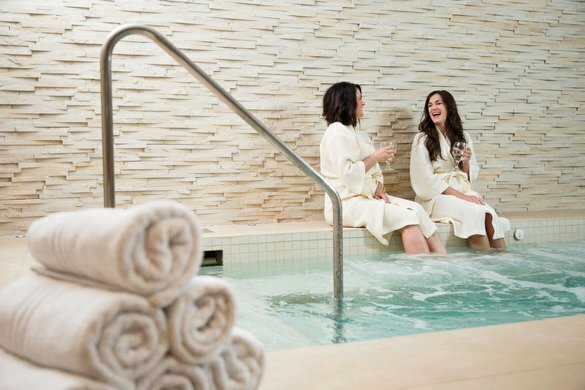 Whether longing for an entire day of beauty or simply a mani-pedi combo, Oklahoma’s day spas have you covered with a long list of popular spa treatments including refreshing massages, soothing facials, body scrubs and wraps, face masks, manicures, pedicures and much more. Oklahoma’s certified spa professionals know that there’s nothing quite like letting the stress and tension of everyday life melt away under the guided hands of a master masseuse, so book a massage and let the healing begin. Unwind at one of Oklahoma’s top spas and indulge your tired limbs with a dose of pampered bliss. Request a shea butter treatment at Body Harmony Day Spa in Broken Bow and delight as the warm oil is slowly massaged onto your skin, or treat your special someone to a couples massage, organic mud therapy and hot towel treatment at the luxury Echo Canyon Spa & Resort in Sulphur. No matter which spa experience you’re searching for, Oklahoma’s soothing day spas guarantee that you’ll leave glowing inside and out.